Produce the best natural hash extraction from home using only ice & water. Perfect for extracting your herbal extracts. 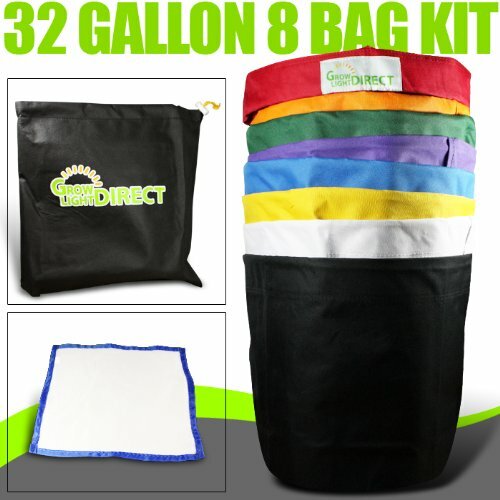 Available in 3, 4, 5, and 8 bag kits varying from 1-32 gallons. All with various micron levels to achieve the best extraction possible. It is Made of a durable canvas material which has a PVC free waterproof coating. Put together by Stitched with strong nylon thread for a long life span of multiple uses. • Many plants strains have different crystal sizes our different size bags allow sepration into different size crystal grades. • Removing dust, leaf and other contamination and holds all the finest and smallest high quality herbal crystals, making sure no crystals escape. If you have any questions about this product by Growlightsdirect, contact us by completing and submitting the form below. If you are looking for a specif part number, please include it with your message.